Norwegian grunge rockers Sauropod have recently signed to Propeller Recordings (Sløtface, Highasakite, Frøkedal) where there their new single Never On Time was just released. The track is their first new music since the release of their debut album Roaring at the Storm which was released last year. 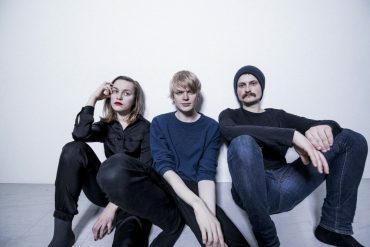 Quickly becoming a force to be reckoned on the live stage, the band’s recent live credits include Øya Festival (NO), Trondheim Calling (NO), Eurosonic (NL) and Visions Festival (DE) – and their next steps will see them supporting label mates Sløtface at their upcoming London headline show in October. The band are currently preparing for an extensive touring schedule kick-starting in the new year, as well as writing for the release of their first album on Propeller Recordings. Never On Time is out now, released 22 September, 2017 via Propeller Recordings. Listen below.